Wonder what is happening at Lake Santee? Check out the latest Smoke Signals, the Events Calendar or Facebook to keep up on all the latest activities happening around the lake! Trick or Treat and Trunk or Treat time is right around the corner. 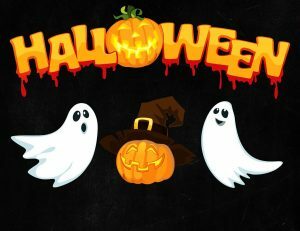 This means that our community will be flooded with ghosts, goblins and many other characters on Saturday, October 27th. If you are driving through the community, please slow down. If you are taking your child out, please remember these safety tips from safekids.org. Remind is now implemented for Lake Santee. It is a real-time messaging system for emergency information to be disseminated to the property owners. Only emergency information will be sent out, such as severe weather, criminal activity, etc. In order to sign up for this service please email lakesantee@etczone.com or drop a written request by the office with your choice of notification method. Be sure to include your full name and lot number. If you would like a text, please give us your cellphone number. If you prefer to receive notifications by email, please give us your email address. You may do both. This is the same program used by the schools to communicate between the school, teachers, parents and students, except this will be a one way communication to you. Clarksburg Community Volunteer Fire Department is looking for persons age 18 or over interested in serving the community as a volunteer fire fighter. Please contact Chief Brad Speer at 812-527-2115, or visit the Clarksburg Community Volunteer Fire Department website at www.clarksburgfiredept.org. 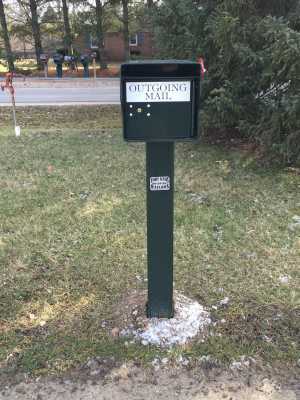 There is a Secure Outgoing Mailbox available for use by residents. The Outgoing Mailbox is located in the main parking lot, just east of the ATM. Outgoing mail should be deposited by 10:00 am for same day pick up. Thank you to the Lake Santee Booster Club for providing the mailbox. A few copies of the beautiful Lake Santee 50th Anniversary Commemorative Book are still available at the Lake Office for only $5.00 each. 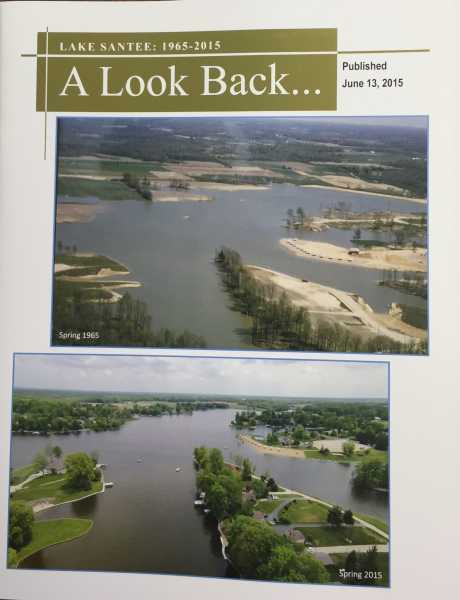 This special keepsake edition chronicles the first 50 years of history of Lake Santee complete with beautiful photographs and stories depicting the development of our community. If you haven’t picked up your copy yet, this is your chance to get one before they are gone.